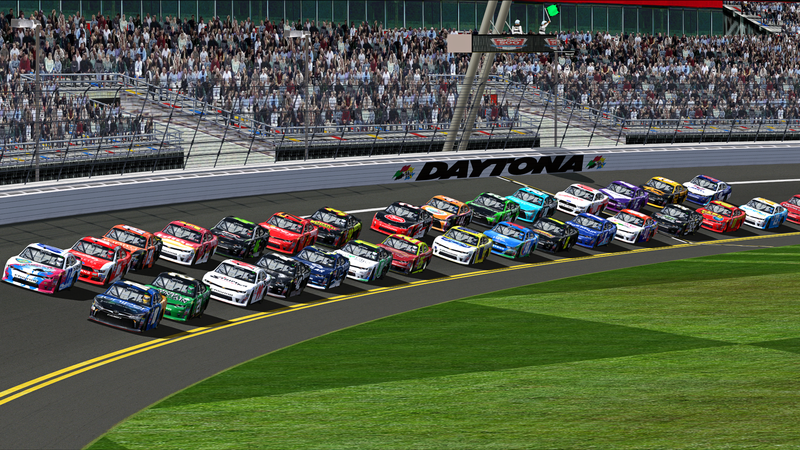 Starting lineup for the daytona race in February. 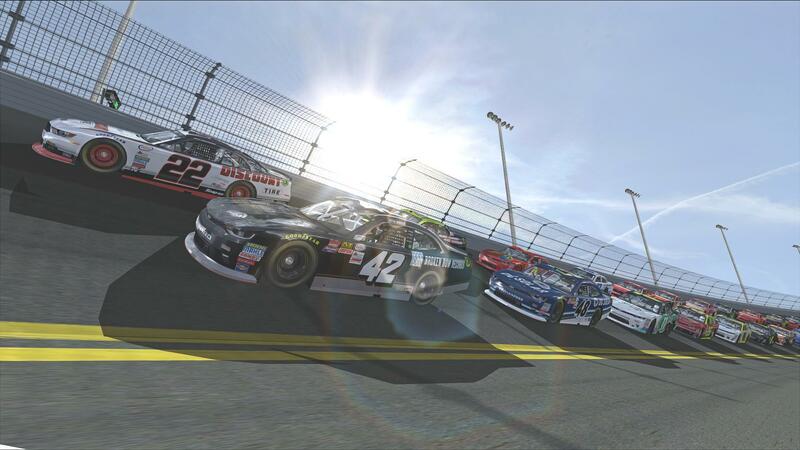 NXS17 Daytona Carset - Starting lineup for the daytona race in February. 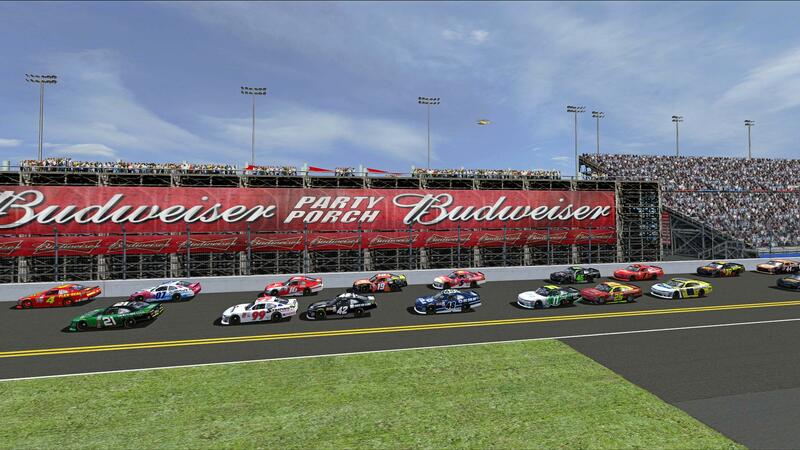 BrendonH12, B Bell, NascarMan32 and 7 others like this. Thank You to everyone involved with making the mod and to the painters for this car set. Mudd, Smoke OR, Chandler Tyson and 1 other person like this. Outstanding job by the entire SRD crw! Thank you all! Please be mindful of using uncompressed anything with this mod. During testing we didn't have any luck running 1024 or 2048 uncompressed cars. Unfortunately all the little details we added and higher resolution texture upgrades resulted in bringing @Smoke OR @Alan Harkleroad and my video cards to a screeching halt, lol. Mudd, NascarMan32, jgegner and 3 others like this. These cars and crews look fine in-game as is. In fact, they look more than fine. No need for uncompressed in my opinion. Mudd, DOBBS, Smoke OR and 2 others like this. Thanks to all the crew who worked on this! Mudd and MattyO like this. Awesome set of cars. Glad SRD released these for us to enjoy. Forgot my favorite screenshot Had this sitting in a window in photoshop tucked away. Anyhow, nothing special, just captures the car set really well I think. NascarMan32, J.R.Franklin, jgegner and 3 others like this. Can PLEASE you make the cars that DNQ'D? Thank you! 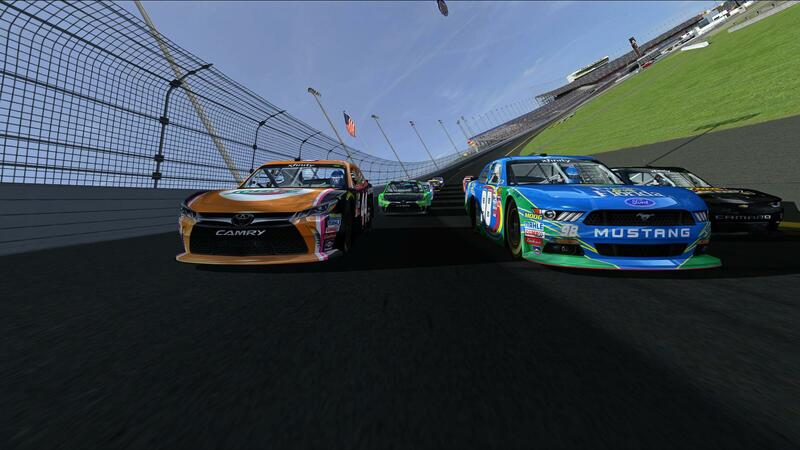 @games123 is making the DNQ'd cars in his showroom, though I'm not sure when they'll be released. Thank you! Let me know when Games123 gets it done! Go Jr! I hope he wins soon! He's had some AWESOME paint schemes, mostly in the Busch Series! nj9703, games123, NascarMan32 and 2 others like this. Can someone point me to the track pictured in the screenshots?